London Trackwork, Inc- Special Trackwork, Track materials, Rail Bending, Curved rail, Restraining Rail, Lawn Track, Rail Section, Icosit, Railroad clips, Buffer stops, Railway guard rail, Mine Clips, Friction Arrestors, Rail Track Spikes, Serrated washers, Lawn track, Guardrail — Special Trackwork, Railway Track Material, Rail Section, Icosit, Railroad Clips London Trackwork Inc. - Special Trackwork, Railway Track material, Rail Section, Icosit, Buffer stops, Mine clips, etc. Welcome to London Trackwork Inc. We are suppliers of Railway Track materials. Some of the materials that we supply include: Special Trackwork, curved rail, restraining rail, Railway turnouts & Crossovers, Track Materials, Rail, Icosit, KC 330, KC 340, Icosit KC 330/10, Elastomeric Rail Grout, Railroad clips, Crane clips, Sliding Friction Buffer Stops, Rail Stops, Bumping Post, End Stops, Wheel Stops, Girder Rail, Grooved Rail, Railway fish plates, Compromise Joint Bars, Rail Expansion Joint, Railway track spikes, anchor spikes, Railway Track Material, Serrated Washers, Lawn Track, Green track, fasteners, guardrail, wire rope, cable wire, etc. With a combined 75 years of experience in marketing, logistics, and supplying high-quality products, our customers and suppliers can confidently rely on the highest standards of service. For our customers: we will provide the products they want at competitive prices. For our suppliers: we will vigorously market your products to help maximize your sales. Please contact us with any inquiries. Some, but not all, territories covered by London Trackwork, Inc. Thanks to Railway Track & Structure (RT&S) Magazine for recently publishing a press release issued by London Trackwork regarding embedding over 42,000 linear meters of rail with Sika’s Icosit rail grout. Thanks to www.metro-report.com & Railway Gazette for publishing a press release issued by London Trackwork regarding the Edmonton Valley Line in Edmonton Canada. Thanks to Railway Track & Structure (RT&S) Magazine for publishing a press release issued by London Trackwork regarding the Edmonton Valley Line in Edmonton Canada. 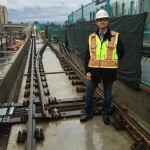 Thanks to www.masstransitmag.com for publishing a press release issued by London Trackwork regarding the Evergreen Line in Vancouver. 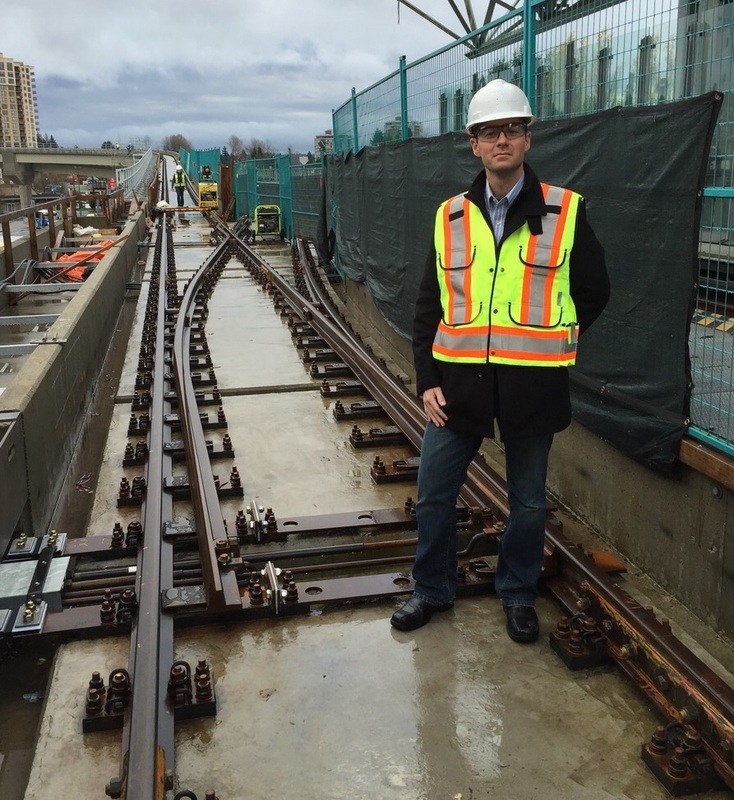 Thanks to Railway Gazette for publishing a press release issued by London Trackwork regarding the Evergreen Line in Vancouver. Thanks to Trains Magazine for publishing a press release issued by London Trackwork regarding the Evergreen Line in Vancouver. Thanks to Railway Age for publishing an article that mentions that London Trackwork recently won the supply contract for Special Trackwork on the Confederation Line in Ottawa, Canada. 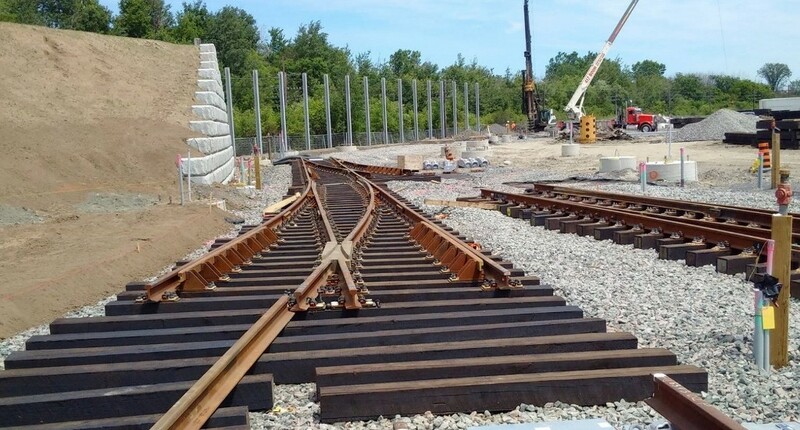 Thanks to Railway Gazette for tweeting that London Trackwork recently won the supply contract for Special Trackwork on the Confederation Line in Ottawa, Canada. 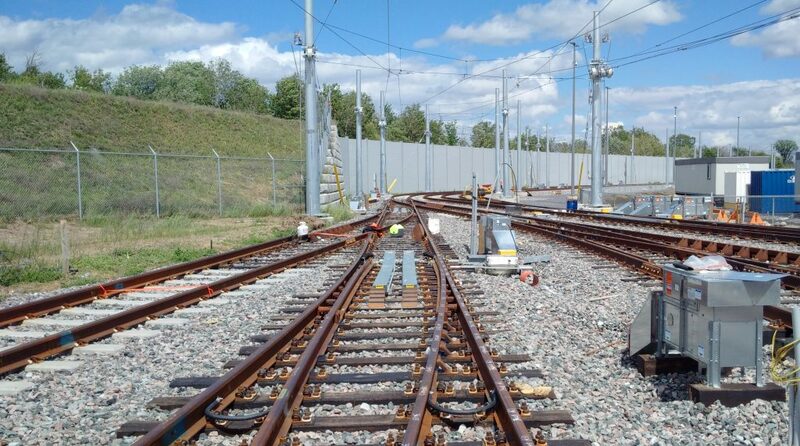 Thanks to International Railway Journal for publishing an article that mentions that London Trackwork recently won the supply contract for Special Trackwork on the Confederation Line in Ottawa, Canada. Same Ottawa trackwork as last photo 6 months later on site.